Remarks : Quite fresh with fusion crust, it is a beautiful chondrite. 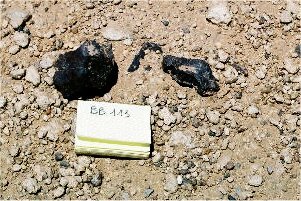 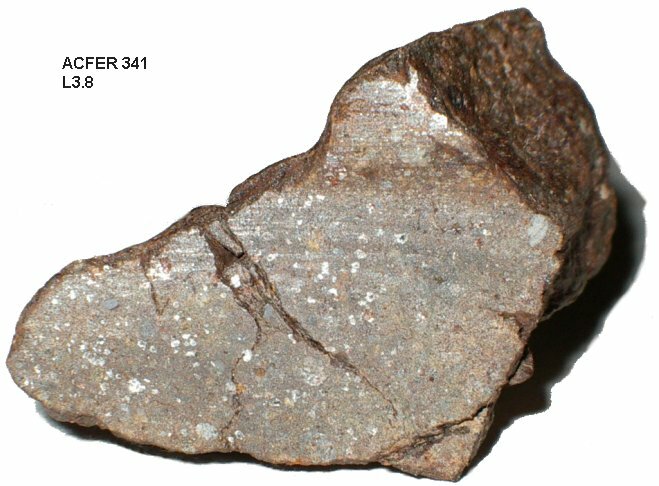 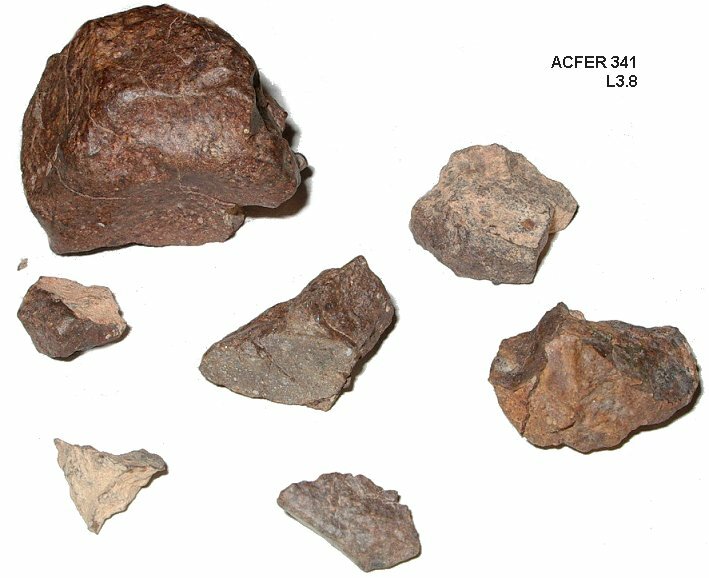 Found near by Acfer 336 & Acfer 337, those 3 meteorites are different from each other, from their structures and weathering grades. In spite of %Fa = 20,4 +/- 4%, observation under optical microscope shows that Acfer 341 is a type L chondrite.